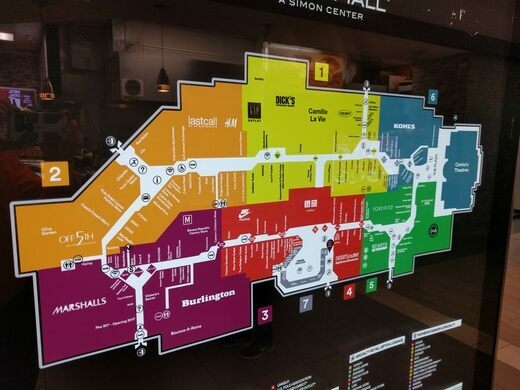 Today, it’s the second-largest shopping mall in northern California, but it once was the birthplace of many of California’s automobiles. In 1952 the Ford Motor Company had outgrown its assembly plant in the city of Richmond, northeast of San Francisco, and was looking for a site on which to build a larger plant. The rural community of Milpitas (Spanish for “little cornfields”) near San Jose was an unincorporated town surrounded by farmland. Ford purchased about 120 acres just south of the town and set about building their new assembly plant. It is doubtful if any of the locals foresaw the magnitude of the transformation that this would bring. The population of sleepy little Milpitas was just 800 at the time, but the die was cast and the hayfields and orchards began succumbing to their inexorable conversion into businesses and tract homes. Twenty years later the Ford plant alone employed 6,000 people and it turned out 55 cars and 22 trucks every hour of the workday, or just over one vehicle per minute. However, nothing lasts forever, and by the early 1980s Ford was feeling the pinch of competition from imported automobiles, particularly Japanese cars. In 1982 the decision was made to close the Milpitas plant, by this time Ford’s last remaining assembly plant on the West Coast, and the last car rolled out of its doors in 1983. With their fortunes now reversed, for the next ten years the gargantuan building languished while the metropolis it had created bustled around it. Then, in 1993, a joint venture between Ford Motor Land Development Corporation and Petrie Dierman Kughn resulted in the building’s conversion to a shopping mall. 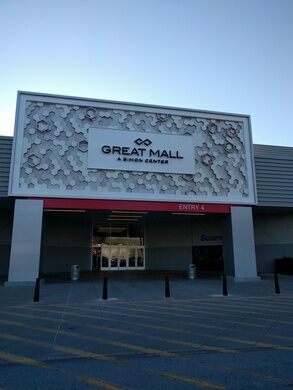 The Great Mall opened on September 22, 1994. Just inside Entrance 4 of the mall, next to the food court, is a substantial historical display created by the Milpitas Historical Society. The first half of the display contains old farm equipment, household appliances and photographs which illustrate life in the area before the Ford plant was built. 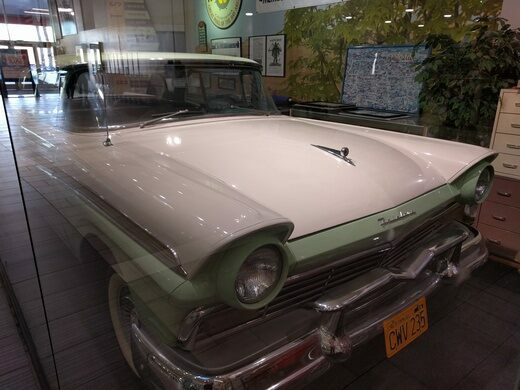 The second half is dedicated to the plant itself with various artifacts including signage, automobile subassemblies, a tricycle vehicle used by plant security, and the crown jewel of the display, a Ford Fairlane Skyliner. The Milpitas historical display is located inside Entrance 4, next to the mall's food court.